If you have missing teeth, dentures are no longer your only option. You can get dental implants that closely resemble healthy, natural teeth. Dental implants will allow you to comfortably eat, smile and talk without thinking about the appearance of your teeth. When you have a decayed or damaged tooth removed, you need to fill in the empty space to prevent other teeth from shifting. A dental implant is placed in your jawbone with a type of dental screw that holds it in place. The dental screw fuses with your natural bone and provides a strong foundation for your new implant. Dental implants can be used to replace a single missing tooth or multiple missing teeth supported by an implant bridge. Dental implants can be used in patients of all ages, even in adolescents if they have reached puberty when their jaw bone stops growing. This typically applies to girls over the age of 16 and boys over the age of 18. Dental implants work well for anyone who needs to replace a missing tooth or multiple missing teeth that have been lost due to tooth decay, illness or disease, and physical injuries. A Natural Look. Dental implants look and feel like natural teeth. When they are made for your mouth, they are custom colored to match the color of your existing teeth. Once installed, you can brush and floss them just like real teeth. You can schedule regular dental visits for check-ups and cleanings for your dental implants Denver Colorodo just like you would for natural teeth. When you have missing teeth, other teeth can shift and cause an unattractive smile that shows crooked teeth. Your face can also start to sag or sink in where teeth are missing. This can leave you with a face that appears older, sunken and sad. 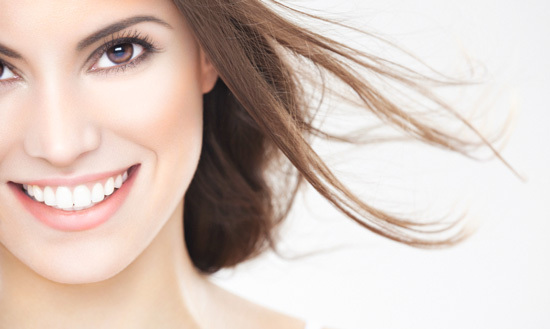 Dental implants will help you maintain the natural shape of your face and and your smile. Most traditional dental bridges that provide support for missing teeth normally last about five to seven years. They may last as long as 10 years with proper care, but they will need to be replaced at some point. While dental implants may need periodic adjustments by your dentist, they can last a lifetime with proper placement, good oral hygiene, and regular dental care.